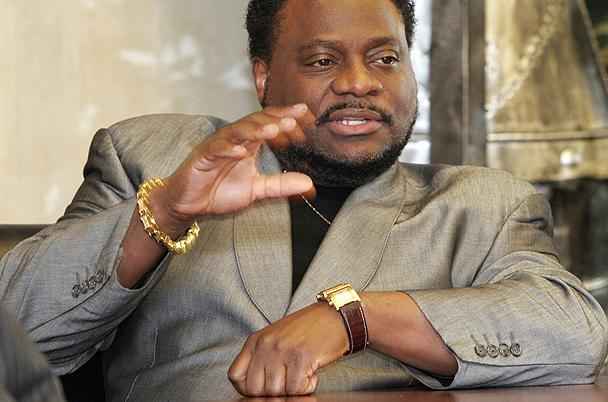 A fourth man alleges that when he was a teenager, he had sexual relations with Bishop Eddie Long. Meanwhile, Long, during a Friday conference call with supporters, said he was "under attack," WGCL-TV reports. "We will arise through this situation, and go forward, and we are moving forward," WGLC quotes Long. The station reports that Long said he had to watch his words because of the lawsuits. The popular Lithonia pastor did not take questions and asked his followers to pray for his wife, four children and his church, New Birth Missionary Baptist. "I have never dealt with anything like this before," Long told them, as reported by WGCL-TV, which monitored the conference call. His latest accuser, Spencer LeGrande, claims he was 17 when he began a sexual relationship with Long while accompanying the bishop on a trip to Nairobi, Kenya. LeGrande, of Charlotte, N.C., alleges in a civil suit filed Friday in DeKalb County that Long gave him an Ambien, a popular prescription sleep aid, followed by a "prolonged hug," kissing and rubbing, according to the suit. The suit claims the two shared a bed for the remainder of their trip.